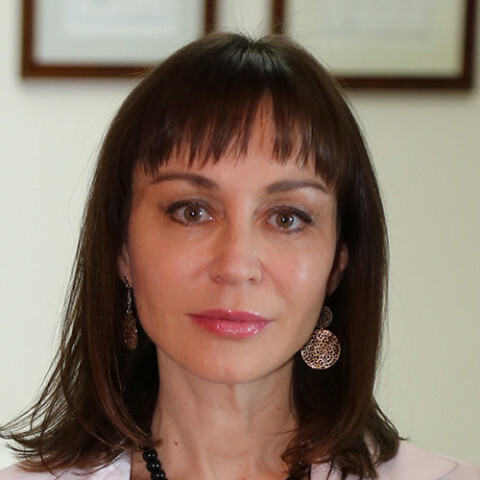 Dr Ines Verner is an internationally esteemed Dermatologist working for more than 15 years in Cosmetic Dermatology. She is at the forefront of technology, treatment, teaching and research in the field of Cosmetic Dermatology. Her artistic approach to facial sculpting together with her special atraumatic injection techniques, lead to the most natural and beautiful results in facial rejuvenation. In her clinic she combines rejuvenation by medical devices based on the most advanced technologies (e.g. radio frequency) with injectables and threads. Dr Verner graduated from the University of Amsterdam Medical School, specialized in Dermatology in Jerusalem and followed a fellowship at the Department of Dermatology at Yale University in the USA. In recent years Dr Verner became a leader in the field of Cosmetic Dermatology. She is serving now as Vice President of the European Society of Cosmetic & Aesthetic Dermatology, is on the scientific committee of multiple congresses (e.g. AMWC in Monaco), is on the editorial board of several medical journals and lectures and teaches the most advanced techniques in Cosmetic Dermatology worldwide. In Dr Verner's Clinic we offer the best professional care in the field of Cosmetic Dermatology together a personal approach for you and for your skin.